''The most important thing in communication is hearing what isn't said.'' - Peter F. Drucker....HAVE YOU EVER WONDERED... What kind of impression am I making? Should I believe what my boss told me? Am I dealing with a potential buyer, or am I just wasting my time? Did my whole team understand what I said? What did the customer mean by that? How do I know if he really supports my idea? Is the audience angry, frustrated, interested, or bored? The answers to such questions are right before your eyes. That's because people in professional settings are constantly telling each other exactly what they think and feel - and it often has nothing to do with the words they speak. Your boss may say that you'll be considered for a promotion, but if she's leaning back with crossed arms and a forced smile, she's sending the opposite message. The customer may say he's not interested in buying that new car, but if he keeps glancing at the contract on the table, he's telling you that he is interested. 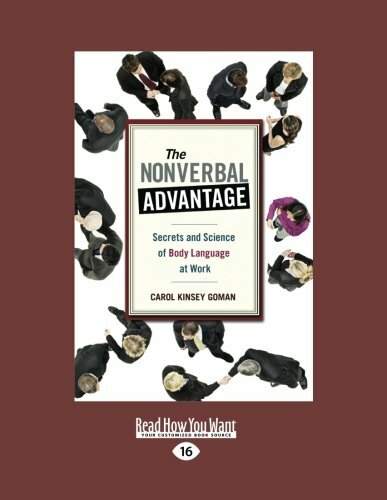 The silent signals of nonverbal communication tend to reveal underlying motives and emotions - fear, honesty, joy, indecision, frustration - and much more. The tiniest gestures, like the way your co-workers stand or enter a room, often speak volumes about their confidence, self-worth, and credibility. And the way you sit, stand, or look at others reveals more about your true intent than you may realize. View More In Motivation & Self-Improvement. If you have any questions about this product by ReadHowYouWant, contact us by completing and submitting the form below. If you are looking for a specif part number, please include it with your message. By Mc Graw Hill Interamericana S.L.